If you think everything in New York costs too much, well, you’re right—almost. 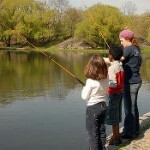 In fact, the city has tons of free attractions and activities; here are some summer faves. Walk across the Brooklyn Bridge (or part of it) for a spectacular view of the Financial District and One World Trade Center, Brooklyn, the seaport, and Manhattan. 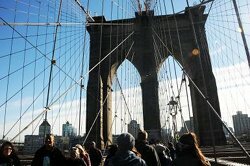 If you’re still energized, you can visit Brooklyn Bridge Park, a beautiful setting blessed with unobstructed city views. Grab a distinctively different park experience by hiking the High Line. Where else but in New York could you smell the flowers, admire art and score some superb people watching along a former railroad track? If you happen to be there on Friday between 7 and 9:30pm, stop by the new Whitney Museum. Admission is free (you can pay what you wish). Ride the Staten Island ferry (and back) to see the Statue of Liberty, Ellis Island, and the southern tip of Manhattan from the water. Catch a free outdoor movie screening in Soundview Park (Bronx), Bryant Park (Manhattan), on Pier 1 in Riverside Park (Manhattan), Brooklyn Bridge Park, Sunset Park (Brooklyn), Willowbrook Park (Staten Island), Simeone Park (Queens) or at the Socrates Sculpture Garden (Queens). Schedules are posted weekly. 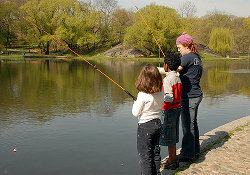 Go catch-and-release fishing at Harlem Meer with free poles and bait to borrow from the Dana Discovery Center. Wander Battery Park City’s waterfront promenade. The breeze, occasional concerts, fun parks and playgrounds, and passing boats will make you forget you’re in the gritty city, although the view of the Statue of Liberty will remind you that you couldn’t be anywhere but New York. Island Hop to Governors Island by ferry. In this historic and expansive park setting you can bike, take a tram ride, and absorb the great views of the city. Taste the treats at the Union Square greenmarket (Mon., Wed., Fri., Sat. ), where farmers offer samples of organically grown produce, hand-pressed juices, artisanal cheeses, and fresh bread. Stroll the Coney Island boardwalk and play on the beach for some old-school kitsch. Although the outrageous Mermaid Parade and the gluttonous Fourth of July hot-dog-eating contest have passed, there’s plenty to see to keep you entertained. Check out the street performers around New York’s parks: break-dancers in Union Square and by Central Park’s Bethesda Fountain, nutty unicyclists in Washington Square, and Statue of Liberty clones in Battery Park and Times Square along the pedestrian-only Broadway promenade. The entertainers situated near the subway (or in the subway – enter for only $2.75) are better than you’d expect—to perform, they must first be vetted by committee. Stroll among the paths in the Central Park Conservatory Garden for gorgeous, gorgeous flowers, and idyllic formal gardens. Attend a storytelling hour or author talk at Barnes & Noble. You can check schedules and store locations online. Visit a museum. Many, many of New York City’s best collections offer hours, days, or nights when admission is free for all. You can view the complete schedule here. Nothing slows down the Big Apple… even cold weather. Better still, there’s lots to do that’s virtually free. So book some of the great deals to be had on flights and hotels, and come visit. Or, if you live here, get moving. Put on your warm clothes and your most comfortable walking shoes, and hit the pavement. The Big Apple awaits.